Hi there! 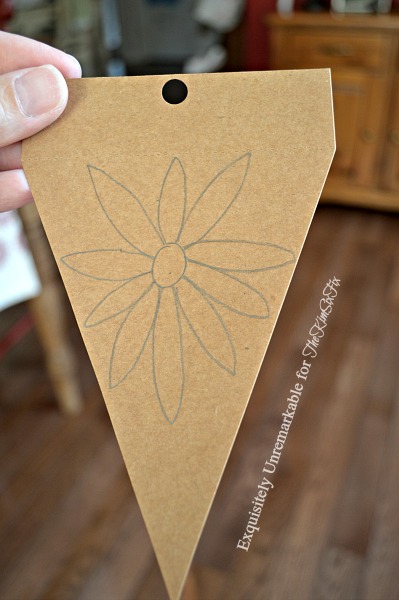 It's Kim from Exquisitely Unremarkable here with another super easy craft project to decorate your home. 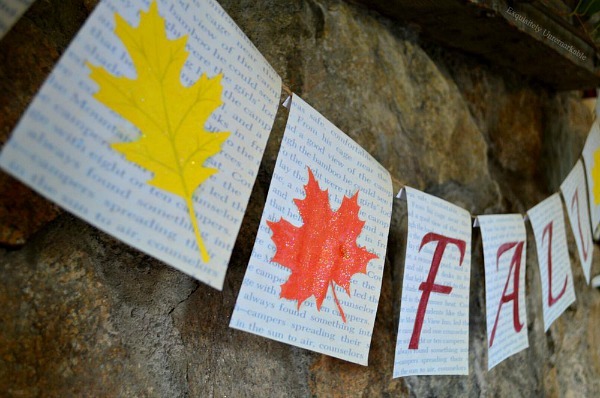 Today's DIY is one of my signature projects, a banner! Before I started blogging, the only banner I owned, was that cardboard one from the party store that read Happy Birthday in primary colors. However, once I saw all the pretty ways people made and displayed them, I was hooked. 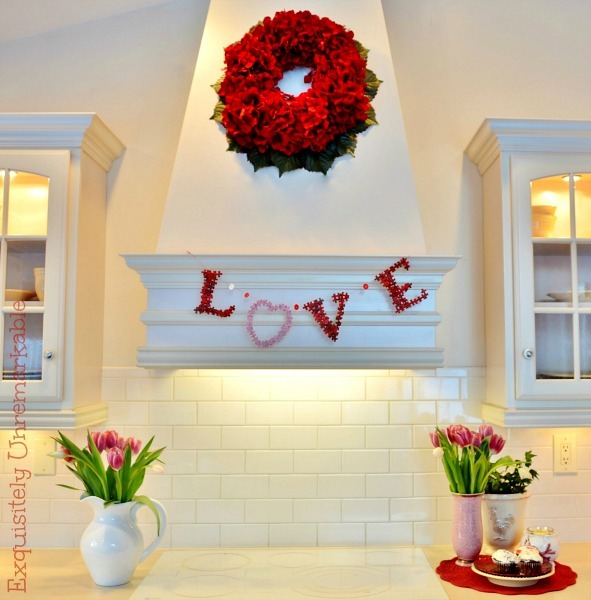 The hood in my kitchen is dressed for every season and holiday now. 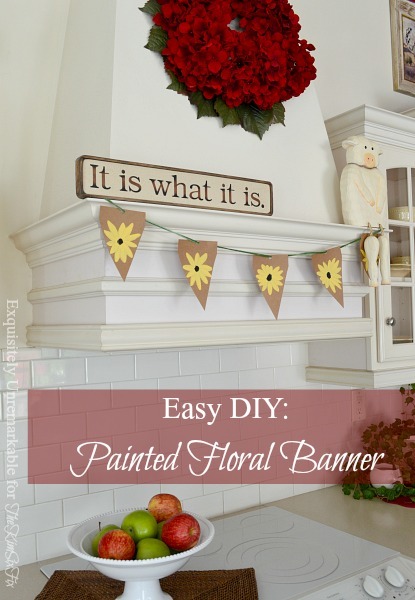 This week, it's adorned with a simple painted floral banner, inspired by the late summer blooms outside my window. And it took me less than 30 minutes to create. I started with a pack of brown banner paper that I found for less than a buck in the clearance bin. I got lucky, but you can just as easily make a few banner pieces on your own out of card stock. The color choice and size is up to you, just cut out your triangles and punch a hole in the top of each one. Next, I drew a very simple flower on each triangle with pencil. Nothing fancy here, just a basic flower like the ones you drew as a kid. Then I used craft paint and a small brush to fill in each petal. 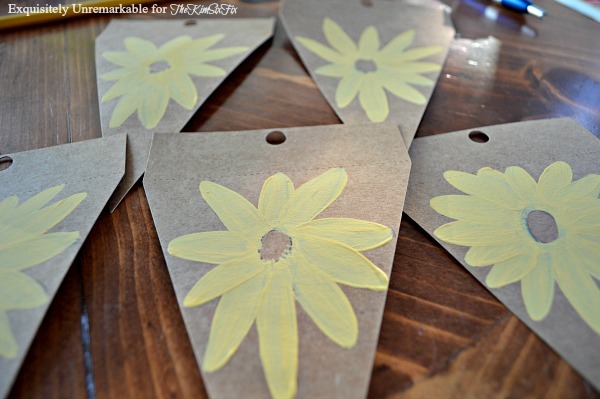 My inspiration flowers were black-eyed susans and sunflowers to reflect the current season, so I used yellow paint, but the color choice is up to you. Go with what makes you smile. 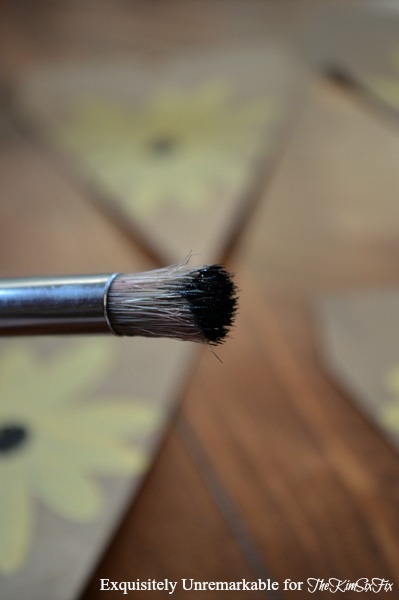 To give each flower a little more character (and alleviate the pressure of creating a perfect circle), I used a round stencil brush and stamped the center with black paint. To add a little more interest, I grabbed my pencil and slightly outlined each petal for definition. I used a variegated green yarn to string up my banner pieces and voila! A sweet floral banner to celebrate the last bit of summer or welcome fall. Like to see a few more banners? Check these out!